The southeast corner of Oklahoma is a popular destination for outdoor lovers, and Beavers Bend State Park a few miles north of Broken Bow is one of the main reasons. If you thrive in the outdoors, this is the place to visit. Nestled in among the trees and alongside the Mountain Fork River are rustic and modern cabins, RV sites, and tent campsites, as well as two group camps. This 3,482-acre park offers 47 cabins with kitchenettes, 393 campsites, and more than 50 tent sites spread over eight camping areas. RV sites feature water and electric service. Dump sites are available. Leashed pets are welcome in the park and there are cabins with one and two bedrooms that allow pets for a small nightly fee. The pet-friendly park also offers a camp store, laundry facilities, restrooms, a playground, and numerous trails. Many visitors enjoy a round of golf at the 18-hole Cedar Creek Golf Course. Known for its pine-rimmed fairways, Cedar Creek in Beavers Bend State Park is one of the most beautiful courses in the state. 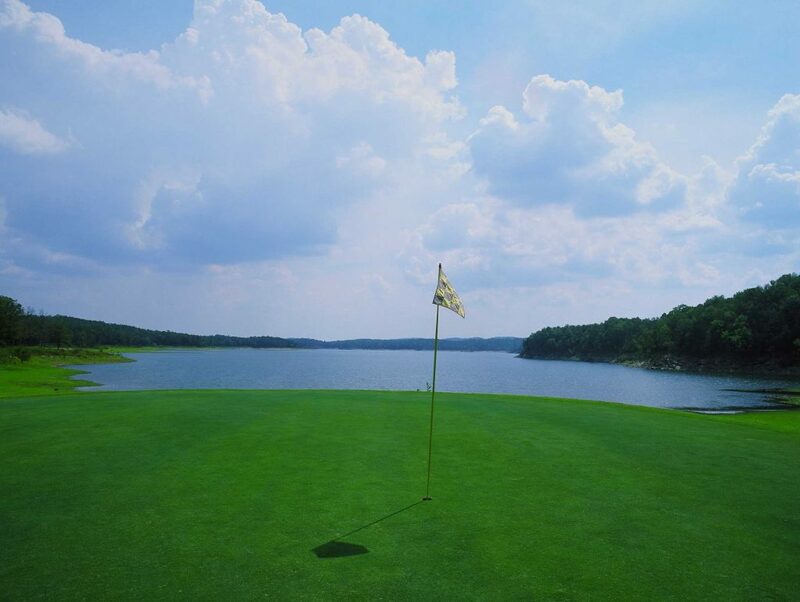 Set in the foothills of the Kiamichi Mountains, the long, narrow course is surrounded by pine forests and the deep-blue waters of Broken Bow Lake. Crystal-clear Cedar Creek runs through the course, providing beauty, wildlife, and sometimes, a hazard. The par 72, 6,582-yard course features Bermuda grass greens, tees, and fairways that are in good shape, a putting green, driving range, pro shop with cart and club rentals, snacks, and drinks. Other activities available include tennis, volleyball, and mini golf. Picnic areas are also scattered throughout the area. An amphitheater, gift shop, grocery store, restaurant, and the Forest Heritage Center can also be found within Beavers Bend State Park. Another fun outing is nearby Hochatown Petting Zoo. Almost any animal you can think of calls this place home. Visitors are amazed at the compassion and kindness of the zoo’s owners and the wonderful environment that they call home. For more information about the area, visit the Broken Bow, OK website. 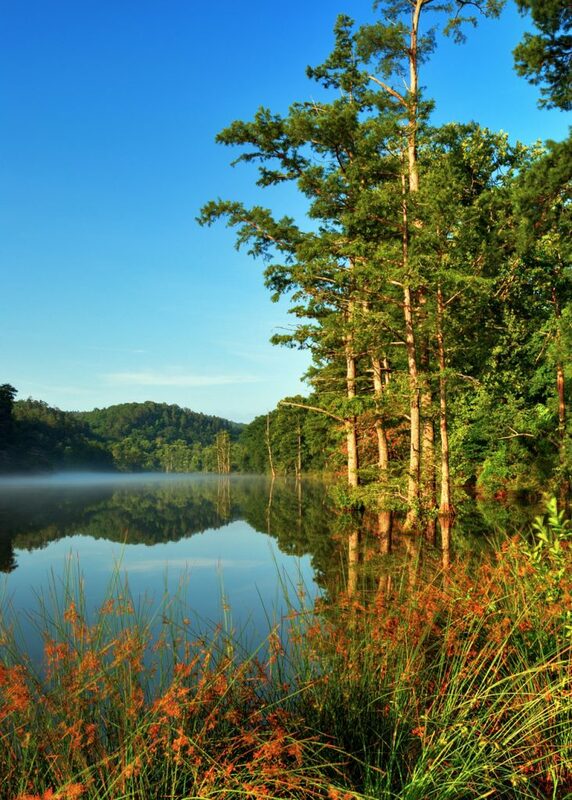 You can also read more about camping at Beavers Bend State Park on Campground Reviews.